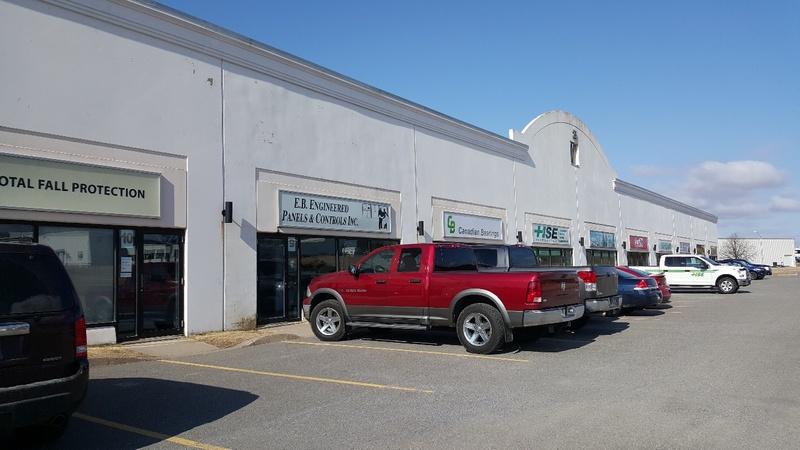 Commercial/industrial space for lease in industrial strip mall in East Saint John. Two units combine for up to 3,320 sq ft + (bonus partial mezzanine). Current layout features showroom/reception area, 2 offices and warehouse. 2 Dock level loading at rear of unit with 8′ w x 10′ h overhead doors. Small partial mezzanine offers bonus storage area. Located in the McAllister Industrial Park. The McAllister Industrial Park was established to capitalize on the success of nearby Grandview Industrial Park, and rapid industrial expansion on the East side of Saint John. The Park has experienced considerable development and success, buoyed in large part by a renewed focus by the on-going development of the energy sector.